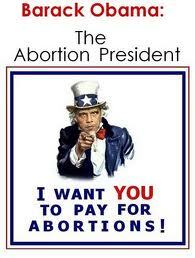 Ed.-Read Pt.2 of The Problem With The Abortion Debate here. Perhaps it is that me and my beautiful wife are going to be welcoming another member to our already large family this December (#5- if you’re counting)-lately I have been really getting annoyed with the tone of the debate over abortion. There are the “pro-life” people- forever calling people who disagree “anti-life”, “pro-abortion”, “abortion advocates”, and the like. There are those on the “pro-choice” side forever bringing up abortion clinic bombings as though every “pro-lifer” is a domestic terrorist– or the constant and droning use of the term misogynist at the drop of a hat. There are words flying across both sides of the fence that make any reasonable treatment of the topic impossible. It boils down to two very important and very reasonable positions. On the one hand, we have the pro-choice camp who believe women need to have ultimate control over their bodies and be given the same opportunities as men. This seems quite reasonable. On the other side of the fence lies a group of people who believe in the primacy of existence- that once you create life there is no return policy. Quite reasonable as well. Both miss the point when boiled down to this kind of generalization. Both miss the point when staring down the opposing position. This Graphic: Kind of True....Not Very Helpful. position to people who have a laundry list of preconceptions, misleading talking points and bad logic regarding what it means to be an “abortion advocate”. I know some Pro-Life people, and I can sympathize with their feeling that they are generalized and marginalized as well. This post is meant as a treatment of what frustrates me most when discussing abortion- how I feel that my position is mistreated and misunderstood by the Pro-Life camp. They surely feel the same, and I’m happy to make room for that conversation as well.